From icing on cupcakes to frosting on cinnamon rolls, Wild Wood Bakehouse looks and smells like the everyday city bakery. Right off of 31st Street and Guadalupe Street, Wild Wood is close to the University of Texas campus and hits close to home cooking with its delicious desserts. But Austin houses hundreds of bakeries, so one might ask why Wild Wood is different. 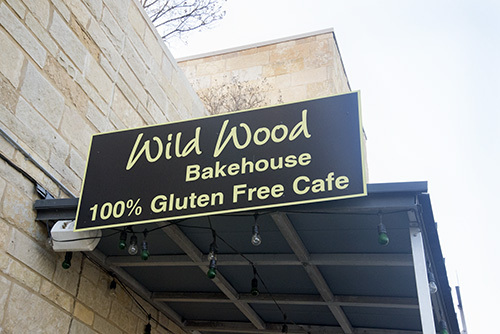 Above the cashier and rows of decorated cupcakes is a sign that reads, “100% GLUTEN FREE.” For the last ten years, Wild Wood Bakehouse has been the only gluten-free kitchen in Austin. “Gluten is a protein found in grains. The main grains are wheat, smelt, kamut, rye, and barley. 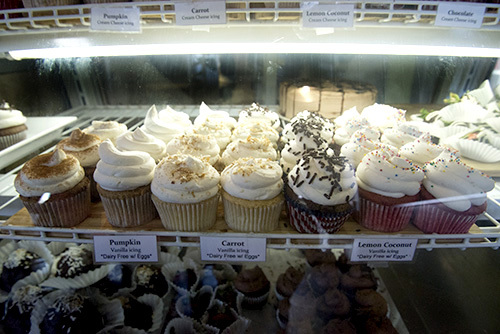 And these aren’t good for you, as they ferment in your body over time,” the bakehouse's owner Joan Griffith explains. Because Wild Wood is a bakehouse restaurant, meaning it serves an array of entree foods such as bread, sandwiches and omelets, the bakehouse caters parties and has a buffet every Sunday. During Wild Wood’s weekly Sunday brunch, the restaurant fills with people to eat eggs, fruit, omelets, chopped beef and waffles (gluten-free, of course). Griffith, who has been gluten-free for 25 years, makes sure that everything that comes in and out of her kitchen is fresh, local and gluten-free. “We are one of the sickest countries on earth. And part of this reason is because 50 percent of calories Americans intake comes from wheat,” Griffith says. The word for wheat in Spanish is “grass from the devil,” she adds. 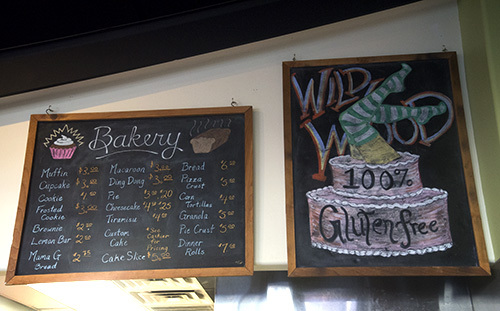 Although gluten-free living has become a lifestyle preference for some, Wild Wood's menu is friendly for people with celiac or those who are gluten-intolerant. Preston Rheeder, a sophomore at Texas State University, says that even though he became gluten-free out of necessity and not choice, the gluten-free diet has truly changed his lifestyle and health. “I’m considered ‘gluten-intolerant’, so whenever I eat gluten, I just feel like I’m in pain. I know gluten is processed and not very good for you to begin with, so being gluten-free has almost helped my diet,” Rheeder says. Whether gluten-free by preference or gluten-free for health reasons, Griffith says that the newcomers who come in and out of her restaurant everyday are an example of the trend in gluten-free living. Gluten-free or not, Wild Wood Bakehouse offers a diverse menu and an interesting diversion from the typical bakery. Wild Wood Bakehouse is open Monday through Saturday, 9 a.m. to 9 p.m. and Sunday from 9 a.m. to 3 p.m. with all-day brunch. The bakehouse caters events and has a happy hour Monday through Friday from 4 p.m. to 7 p.m.